6 Valentiines Day Foil Balloon Bouquet – a Half Dozen Foil Heart Shaped balloons, weighted with L.E.D lights added to the base. 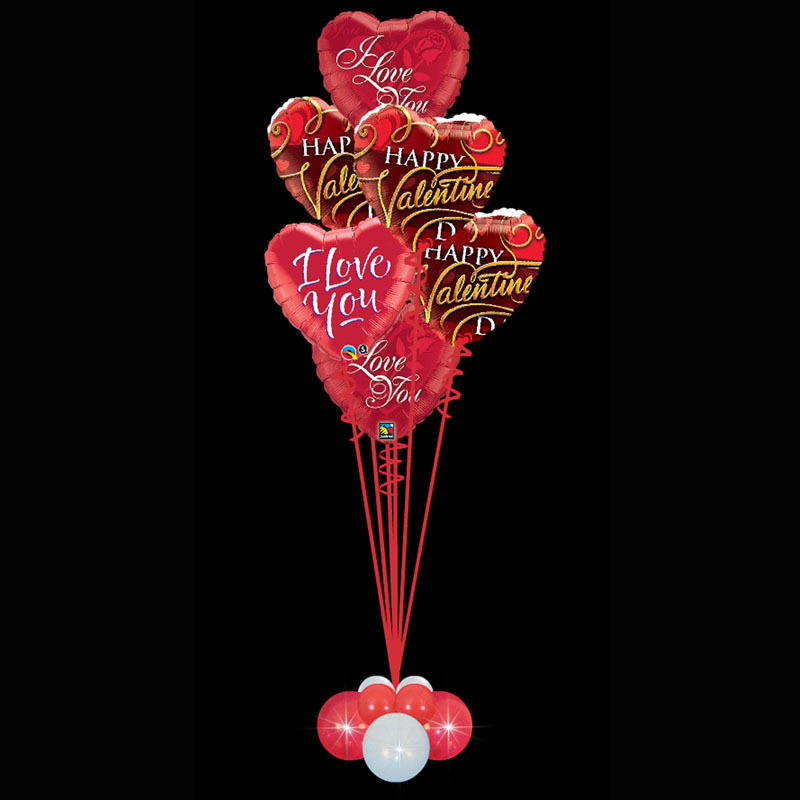 A lovely long lasting balloon bouquet to impress your Valentine. If you would like a different combination of balloons – please let us know and we will do our best to comply with your request. A lovely understated balloon bouquet to be delivered to any office, workplace, home or even Restaurant.